Netanyahu says early elections could not be held until Hezbollah terror tunnels were neutralized. 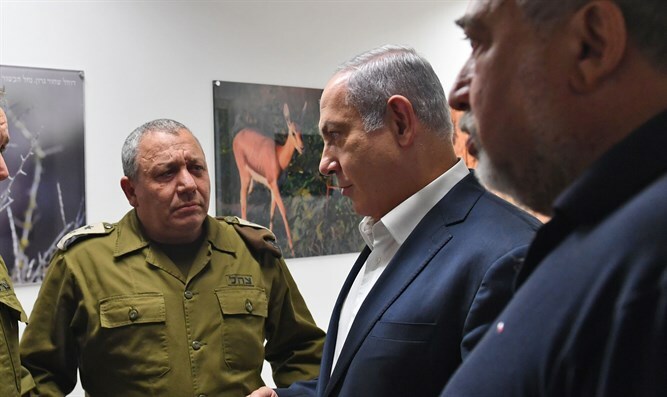 Prime Minister Binyamin Netanyahu stated that early elections could be held now that the threat of Hezbollah's attack tunnels has been dealt with. "Six weeks ago, when the possibility of bringing down the government was before us, I said that we have urgent security matters to deal with," Netanyahu said. "I couldn't reveal then what we did a couple of weeks later, which is to start this big operation to neutralize completely the terror tunnels of Hezbollah. That's what we've done since. It's a pretty good reason. You want to get that done. "It was right not to go to elections then, and I think it's perfectly sensible to go to elections now," the Prime Minister added. On Monday afternoon, Coalition leaders voted unanimously to dissolve the Knesset and go to early elections this coming spring, a Likud spokesperson said. The early elections will be held on April 9th, 2019.